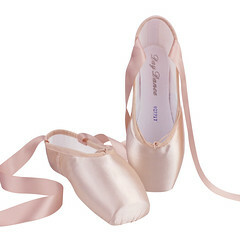 ← Crait Pointe Shoes-Past Or Present? 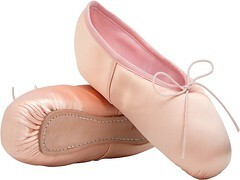 For the last few hours, I have been on an intense information hunt about the Dennis Reeve pointe shoe brand. 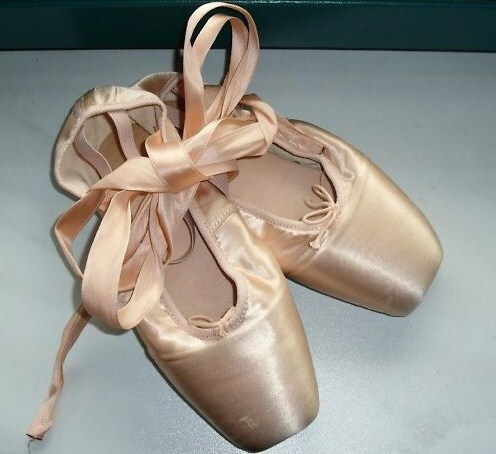 The origins of these shoes are mysterious indeed. Checking online for the name Dennis Reeve comes up short as far any good , solid information goes. 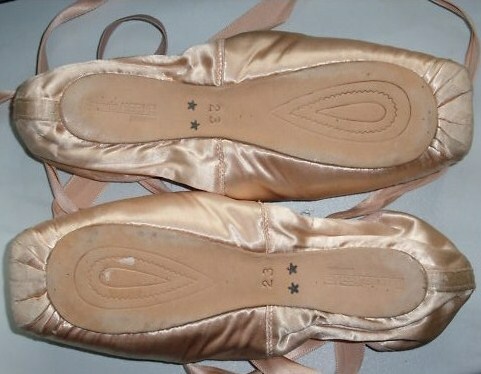 The soles here are slightly worn down so reading the makers stamp for more information is difficult. 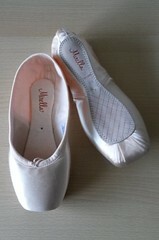 I did find one dancewear company based in Germany that has an interesting advertisement. 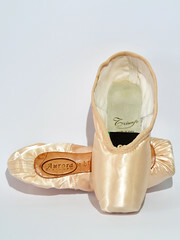 The company, En.swing-balletshop, offers a Merlet pointe shoe model for sale that is classified as a beginner pointe shoe. The name Dennis Reeve can be seen in parenthesis next to this Merlet Pulsion model. I find this very intriguing! How does Dennis Reeve connect with Merlet? 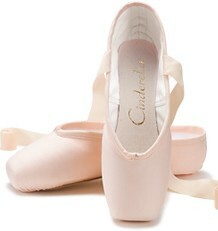 Did Dennis Reeve just endorse this model as a beginner pointe shoe, or did he actually design it? 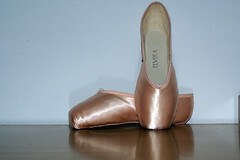 I have sent an e-mail inquiry to En.swing-balletshop asking for more information about Dennis Reeve. If I am lucky enough to receive a response from this company, I will update this post . 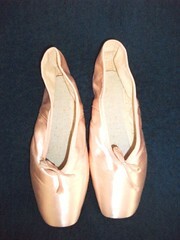 This entry was posted in Mystery Pointe Shoe Brands and tagged Dennis Reeve pointe shoes, Pointe Shoe Images. Bookmark the permalink.